The struggling German bank wants to cancel former executives’ unvested and previously suspended compensation awards. Deutsche Bank won’t retrieve enough to boost capital meaningfully. But reassuring shareholders whose rewards have never matched employees’ is still worthwhile. Deutsche Bank is looking at how it could use the newest form of compensation provisions to force former executives of the struggling German lender to share in its suffering, according to a person close to the situation. The measures could include both cancelling yet-to-vest awards and those it has previously suspended. 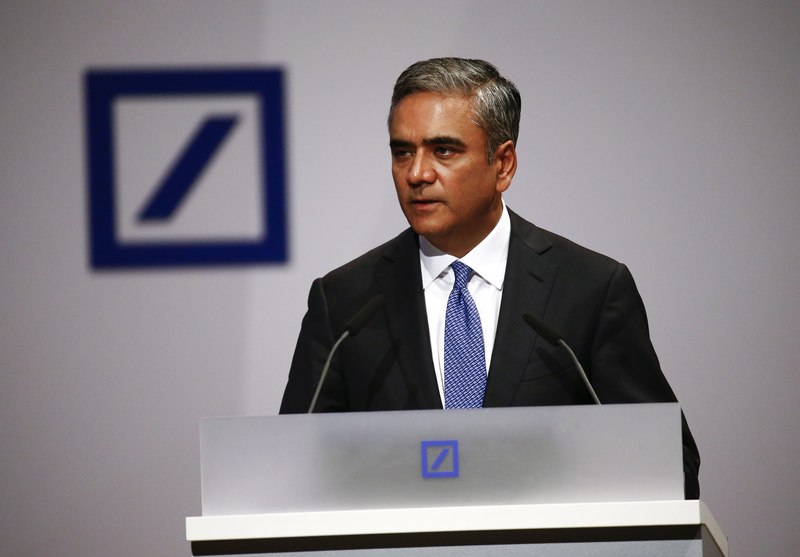 Sueddeutsche Zeitung reported on Nov. 16 that Deutsche Bank wanted to reclaim bonus awards from six former executives, including ex-Chief Executives Anshu Jain and Josef Ackermann.